If you follow me on Instagram or if you read my blog regularly you know I went to Universal Studios this weekend for Mardi Gras while everyone else was celebrating Derby Day. It was an absolutely horrible day; cloudy, rainy, and pretty chilly considering it's Florida in May but we made the best of it any way. I was kinda hoping that since it was such crappy weather that maybe there wouldn't be as many people in the park but the weather definitely didn't seem to scare people away! A little tip: usually if it looks like it's going to rain at any second the parks aren't as busy and the ride waits are much shorter. None of us had ridden Despicable Me yet but unfortunately that had a 60 minute wait so we skipped it and went straight to Rip, Ride & Rock It which claimed to have a 50 minute wait. Still WAY longer than I would usually wait for any ride (what can I say, living in Florida I'm pretty spoiled when it comes to riding these rides) but we decided to give it a shot any way. If you've ever been to a theme park you know you can get some of the best people watching ever so waiting in line for a ride may be boring but you can find ways to keep you entertained. So after about 30 minutes we realized the 50 minute wait time estimate was WAY off but at that point you've already waited for so long it seems like a waste to leave so we waited it out...for another HOUR (Dear Universal, please look at a clock every once in awhile and update your wait times. Thank you!) but at least we got to ride front row! I'm not going to lie, those cute little videos they play while you're waiting start to turn REALLY annoying after you've heard them 300 times. For getting there as late as we did (and wasting an hour and a half in line) we actually managed to get to do a lot of things which I'm happy about! And we definitely made the best of it being cold and rainy (cold is a relative term for me, it was in the 60's which in my opinion is freezing!) but I'm pretty sure the shots of Fireball (shout out to my adorable best friend for getting us some free shots because the bartender was in love with her, and her last name!) and wine definitely helped make the cold more bearable. Ok now on to the REAL reason we went to Universal for the day - Nelly! I was obsessed with Nelly in high school so I was more than excited to see him in concert and he didn't didn't disappoint. He played a lot of his old hits "Country Grammar", "Air Force Ones", "Just A Dream", etc as well as some new stuff including "Cruise" which surprised me since he's only in part of the song and Florida Georgia Line wasn't there to perform with him. Of course it started POURING during the concert so we got soaked but we had amazing "seats" and it totally brought me back to my high school days so it was definitely worth it! 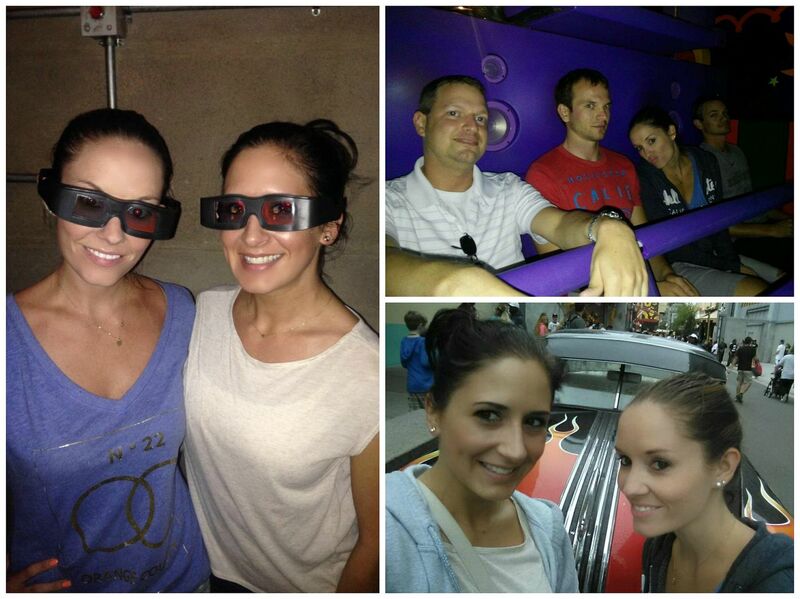 From the pictures, it looks like it was a fun day! It definitely was! Hope you had a great weekend Hannah! ah going to the parks is such a fun way to spend the weekend if you ask me! love it. what i didn't love? that weather saturday! it was terrible and then some. ugh. you're a trooper though! I know, I wish they weren't so expensive! I need to just get a season pass LOL! The weather was horrible but at least Sunday made up for it! Hope you had an awesome weekend! That looks like an amazing weekend, minus the ugly weather. It definitely was Beth! Hope you had a fabulous weekend! I so wish I still lived in Florida so I could go to Universal all the time - those rides, especially at Islands of Adventure are the best!! Now your song pick from Friday totally makes sense haha!! Glad you guys had a great time at the concert!! Gross weather! You're crazy to ride the rip, ride and rock it roller coaster!! That thing scares me to death! Love The Simpsons though! How's the new Harry Potter park coming along? gross weather :( but it still looks amazing!! and nelllllyyyyy!!!!!!! I visited Universal when I was about 12 and it looks like so much has changed since then but still so much fun, terrific photos! It's changes SO much even in just the past few years! All great changes though! Thanks Sam! Ohh jealous! That was my first time seeing him in concert and it wasn't quite the same as when I was obsessed with him as a teenager but still fun! :) You're moving to FL?? Ahhh I'm so jealous! I wish I lived closer and could visit Universal all the time! We are actually heading to Panama on Friday. I can't wait! I hope the weather looks up for us. It's supposed to be really nice out the rest of the week and the weekend so I hope the weather holds up for you too! :) It's unlike FL to be that crappy of weather in May so most likely you'll be good! :) Have fun!!! So glad you had fun despite the crap weather! 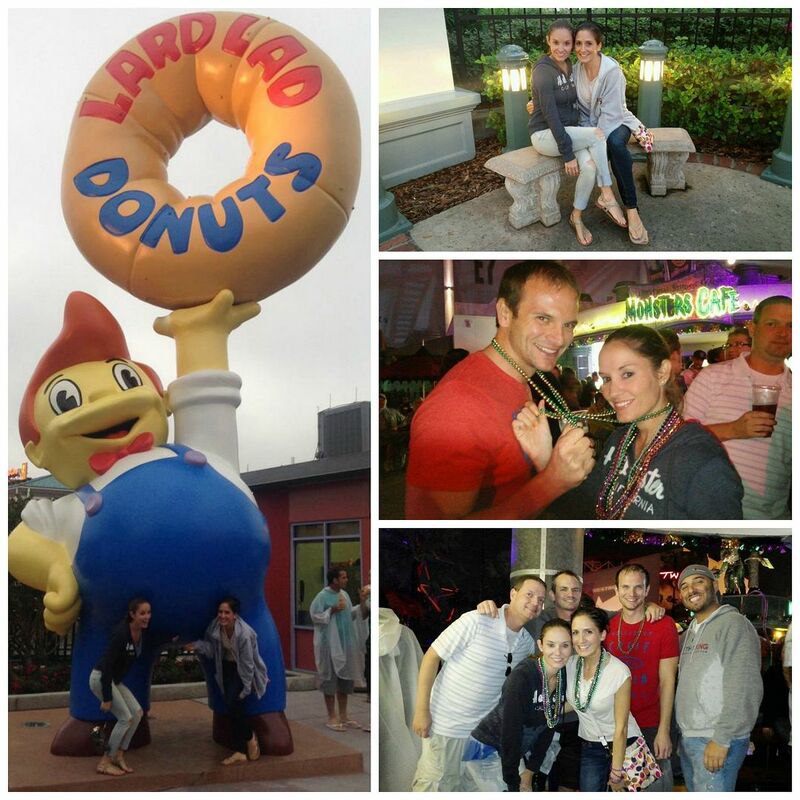 Universal Mardi Gras is always a good time! Definitely! Wish you guys would have been there with us! Looks like you had a ton of fun in spite of the cold and rainy weather. Love Universal. Me too Lindsay! And it was definitely a blast! Hope you had an amazing weekend! looks like sooo much fun!! despite the weather! It definitely was a lot of fun! I'm glad I went! I'll be sure to stop by again! :) I was wondering what the deal was with it earlier!! UM! Super jealous, this looks so fun! What a fabulous trip! Wait is that a guest appearance of your man??? Oh I'm so excited!!! I mean let's be honest theme parks are the best excuse to drink right? I love me some Nelly! Mark was talking to me the other day about him being there we definitely should have gone! Bummer about the weather but it still looks like it was a great weekend! We had a few too many shots of Fireball on Saturday here - woof. 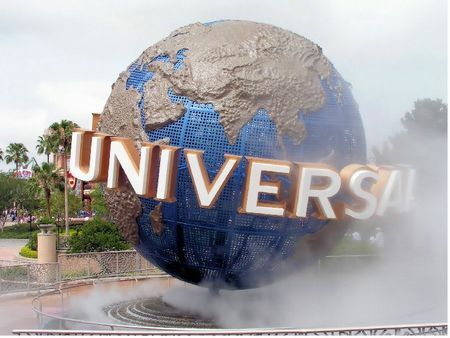 My grandparents used to live in Orlando so we would visit every year but I've never been to Universal which is crazy! We were strictly Disney people! 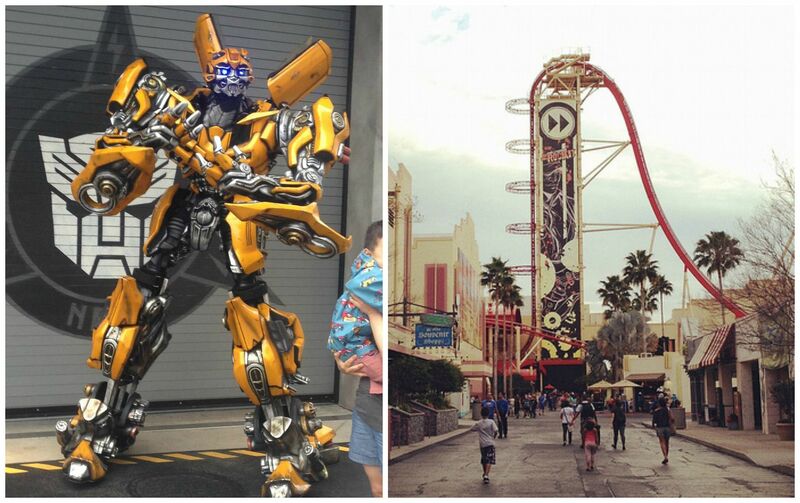 Ok when I first read this post I was just so jealous you were at Universal--LOVE that place. And looks like you had a blast. BUT, then I saw you got to see Nelly (total celeb crush from back in the day) and I am just dying inside ha :) Was it a great concert? Glad you had a great weekend. Looks like a fun weekend! When we went to Busch Gardens a few weeks ago, the weather wasn't the best, but there were still SO many people there! The busiest I had ever seen it -- typical, haha. I went here when I was about nine or so. Then a few laters I lived in Florida for about 6 months in the pan handle. But have not been back since. Would like to though! If you're ever back down here you should definitely go! It's changed so much! Me too! 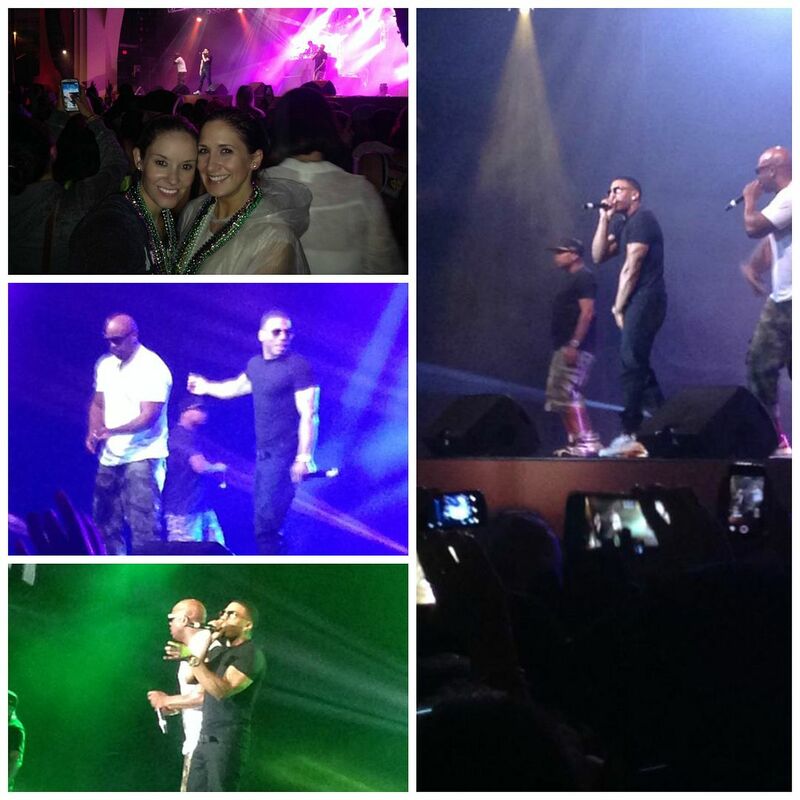 Nelly was awesome!! :) Hope you had a great weekend! Of course Sunday was gorgeous but it was still fun! Thanks Maggie! I hope you made it to Harry Potter world! Sadly I didn't go this time! :( We only went to Universal and we went late afternoon so we didn't make it over to IOA but we got to see what they were working on at the Universal side for Diagon Alley! 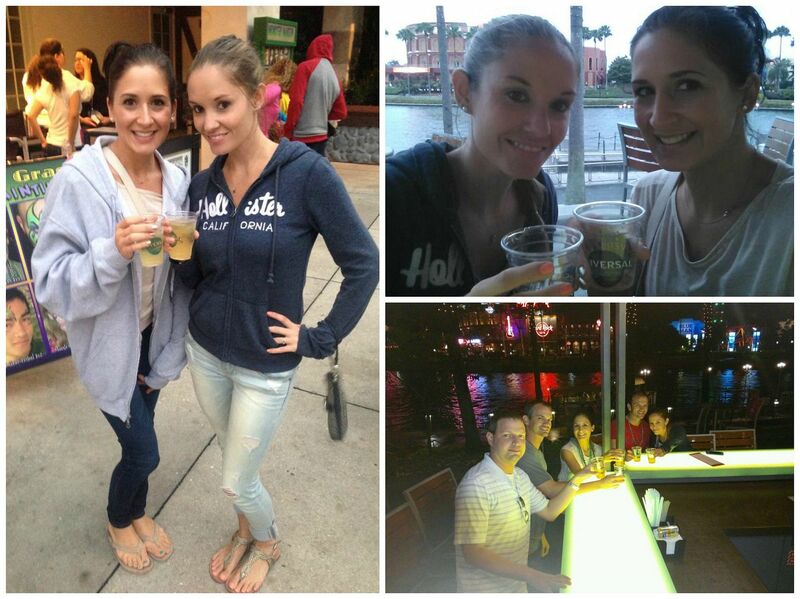 Looks like you had a great time, even if the weather wasn't so great!